Introducing Villeroy & Boch Anmut Flowers, colourful floral motifs with distinctive flowing lines creating a truly unique and a dynamic contrasts against any gloomy images at any place. The new decor line of Premium Bone Porcelain adds to such beauty to individual or unique table settings with this pattern. This design matches also fresh new and contemporary and modern looks ever. 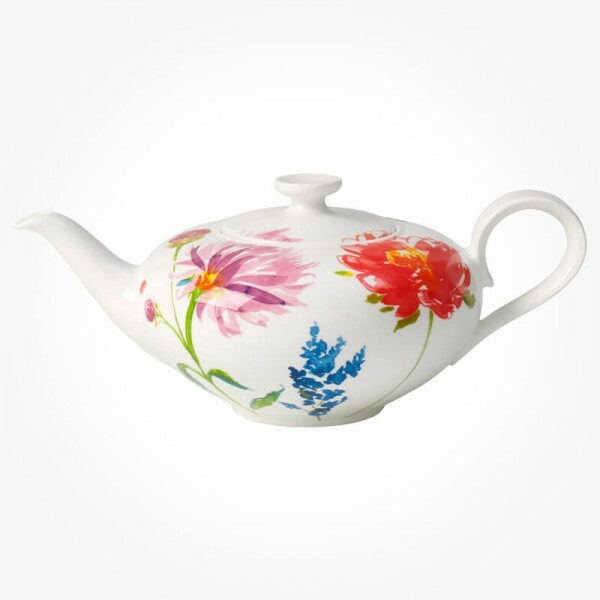 This teapot meets any of vintage requirement with those traditional shape of design and new generation of party occasions. 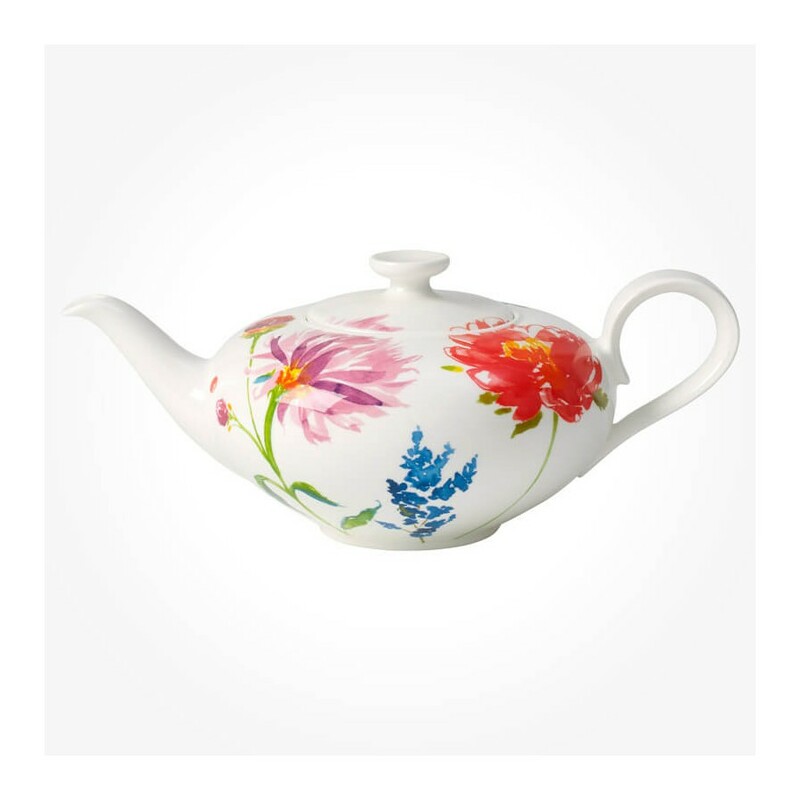 Setting tea table with this truly classic teapot along with with its matching cup and saucer from Anmut Flowers.